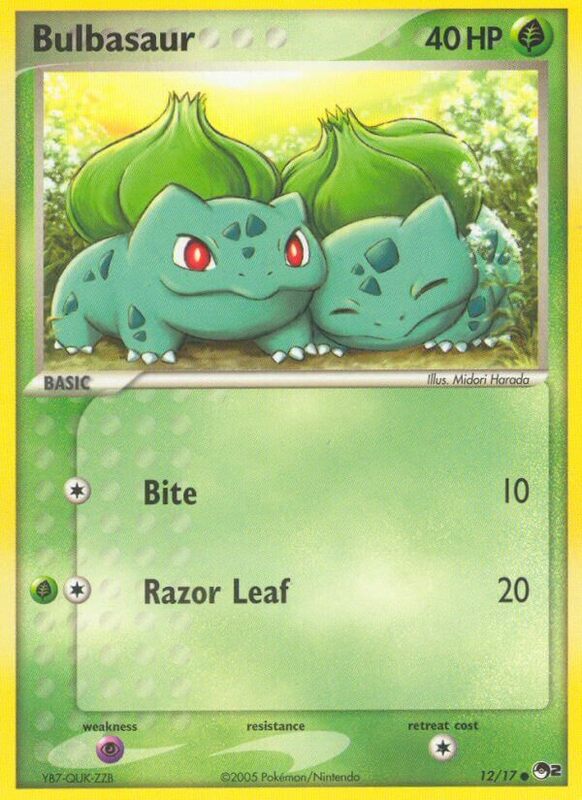 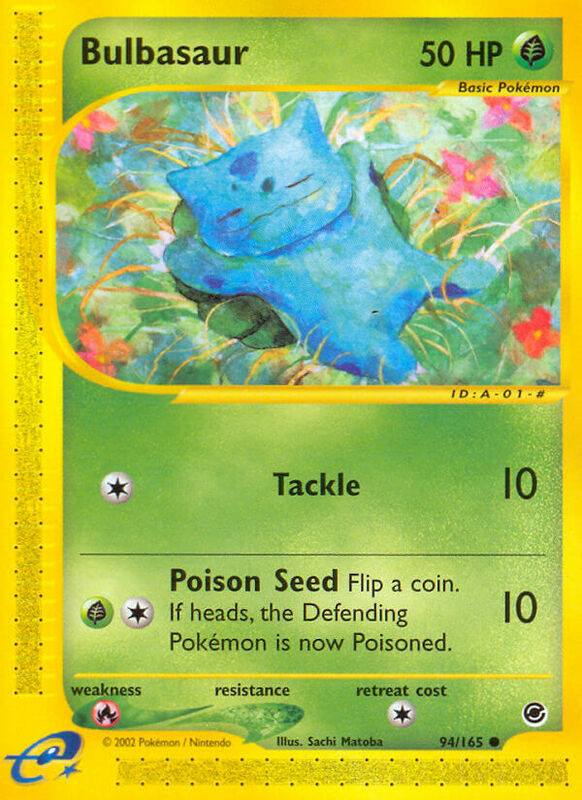 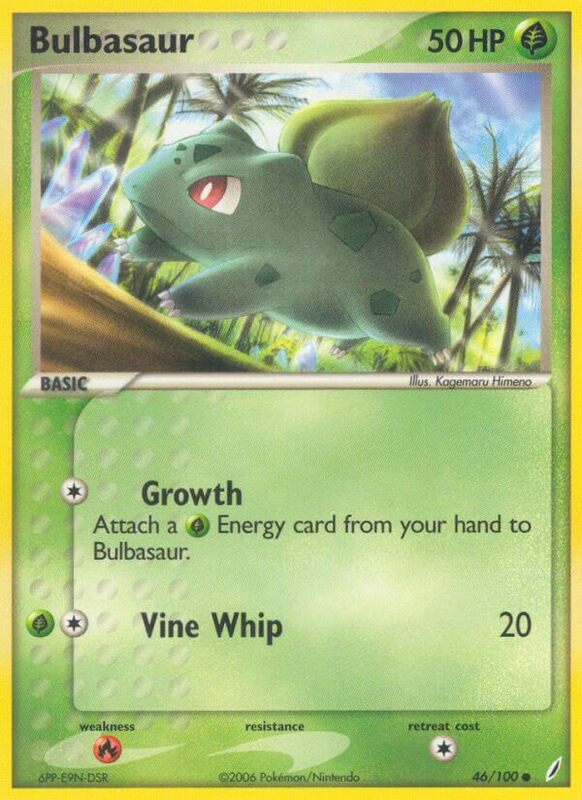 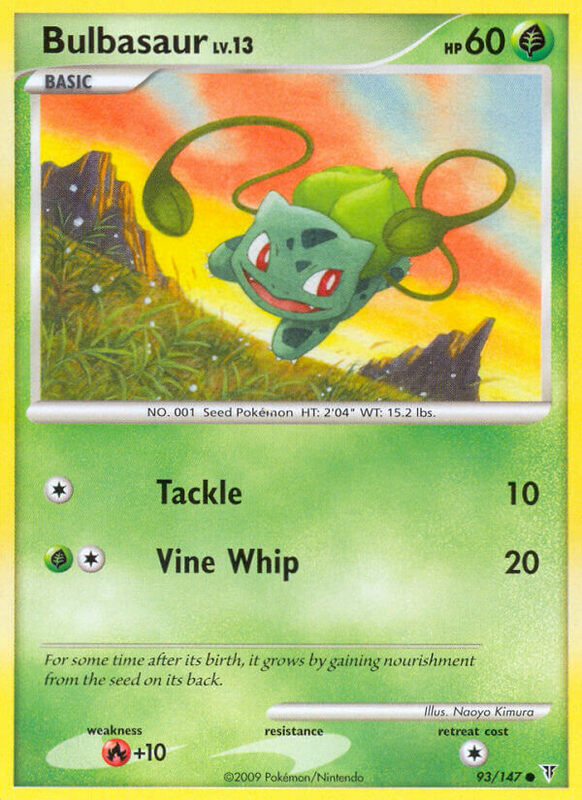 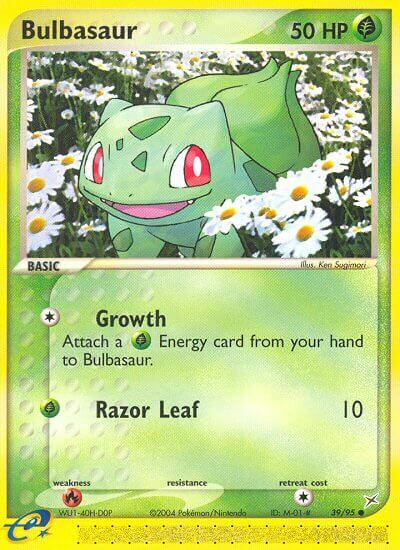 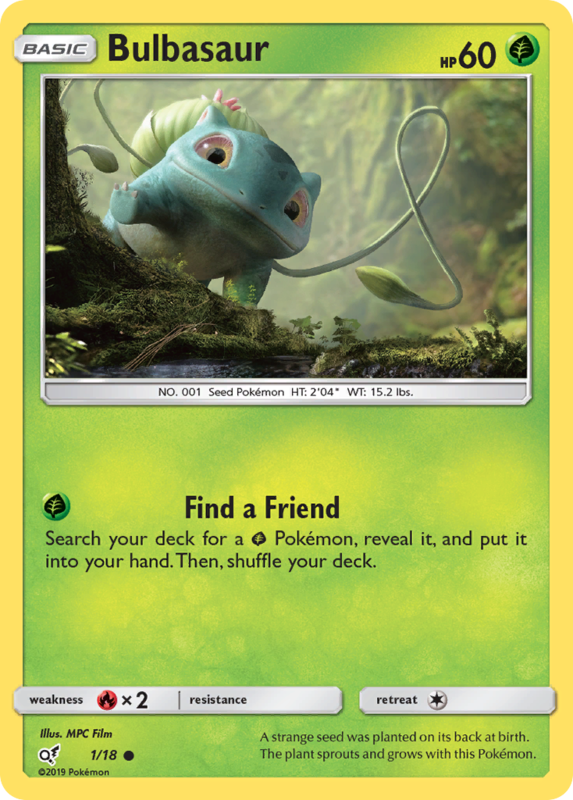 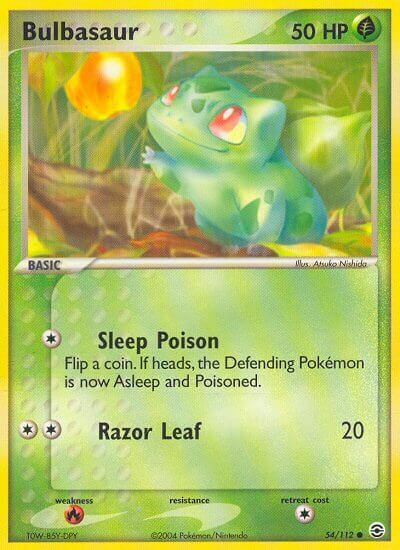 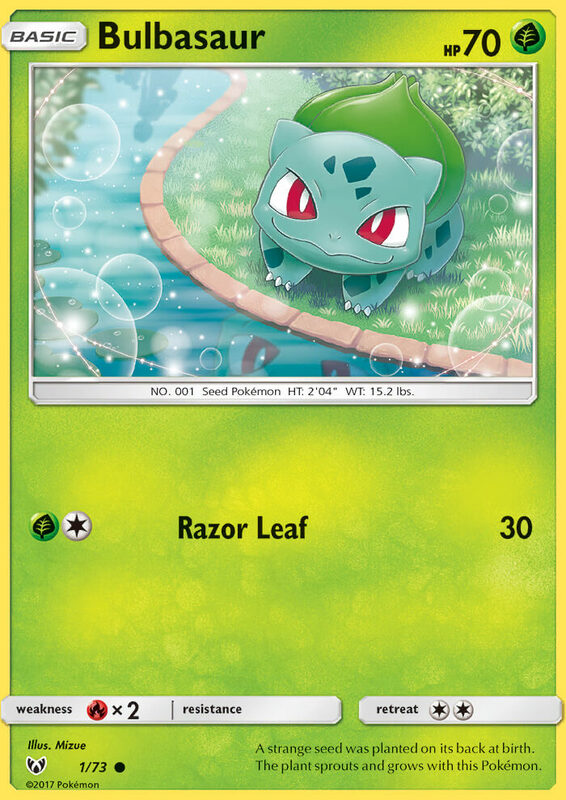 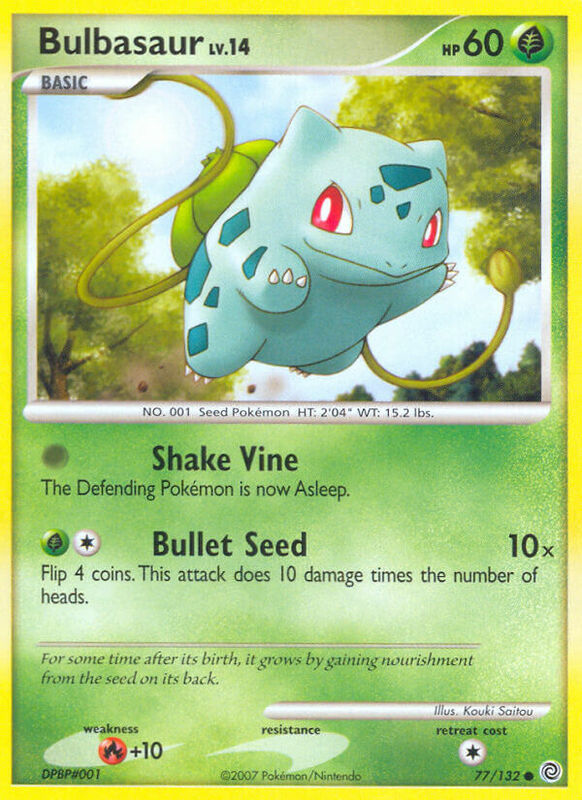 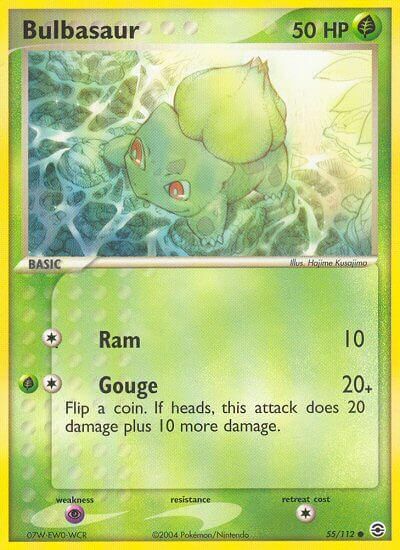 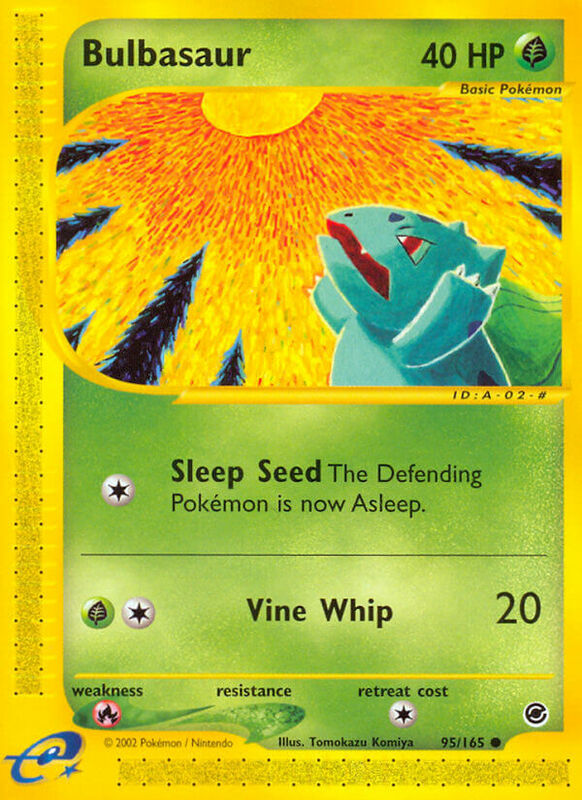 Attach a [G] Energy card from your hand to Bulbasaur. 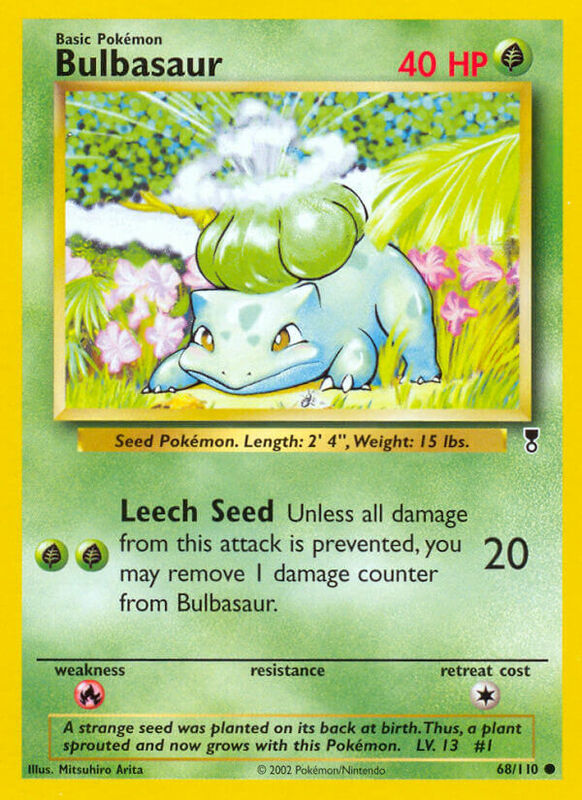 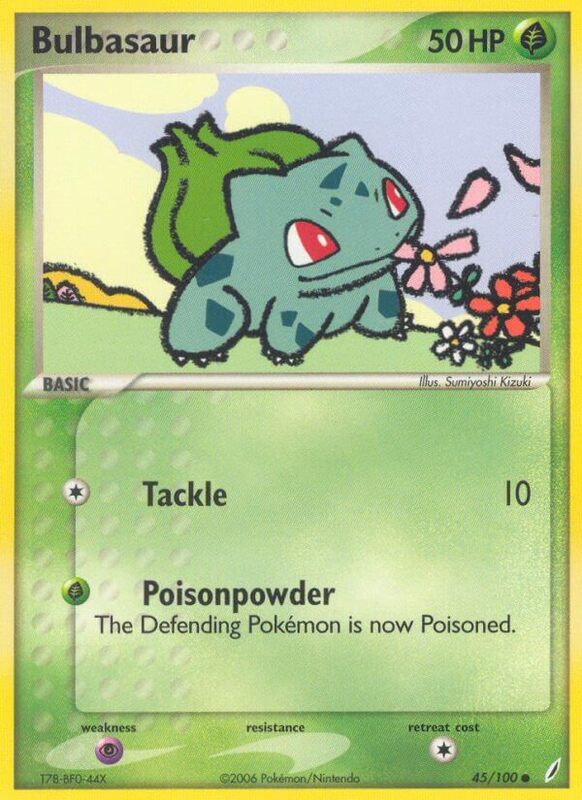 Unless all damage from this attack is prevented, you may remove 1 damage counter from Bulbasaur. 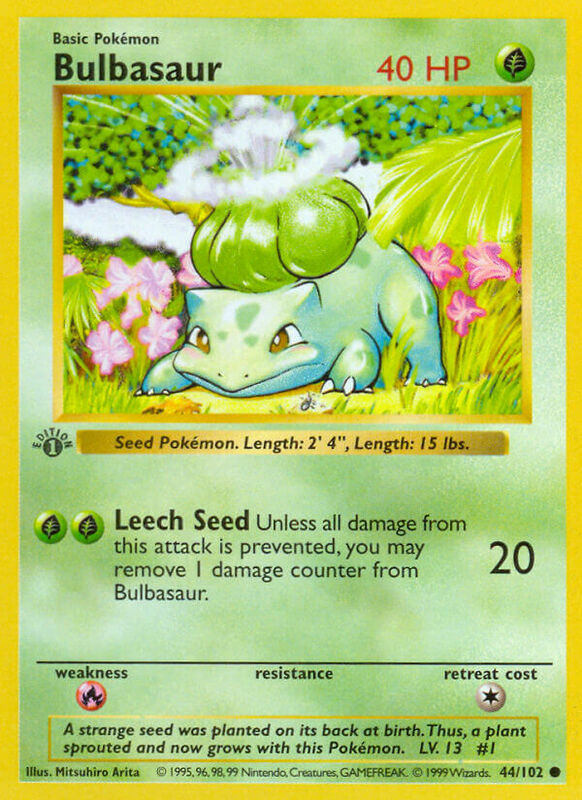 A strange seed was planted on its back at birth. 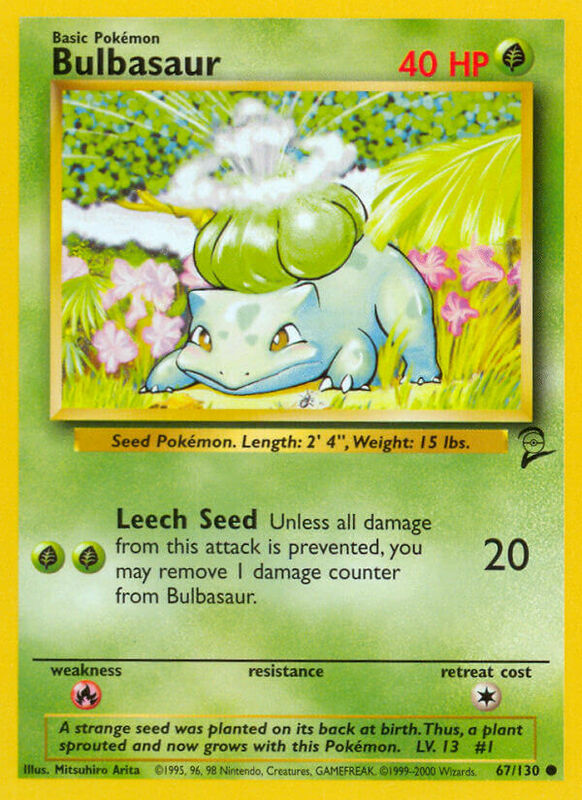 Thus, a plant sprouted and now grows with this Pokémon.